Christoph Dahlhausen (DE), Kevin Finklea (US), Billy Gruner (AU), Peter Holm (DK), Kyle Jenkins (AU) and John Nixon (AU). As an artist, you often stand alone in crucial moments in the studio, pondering on decisions or roads to take. We discover in the coming together, that, though worlds apart, we develop unseen movements and adjustments, hints and building blocks in a language of artists. In this language we study the grammar and build further small sentences to put new meaning into a new world, but still with regard to the foundation. Kiev and Malevich play a key role in the defining times in the art of the 20th century and the works from the period of 1913 - 15 in which Suprematism developed and the monochrome works were made. This is still an engine for development and research, maybe today more than ever, as Nonobjective art is gaining new ground and attention. I am very happy to present these artists and these small works, in this context. It should be an appetizer for further investigations into highly specialized and respected oeuvres. 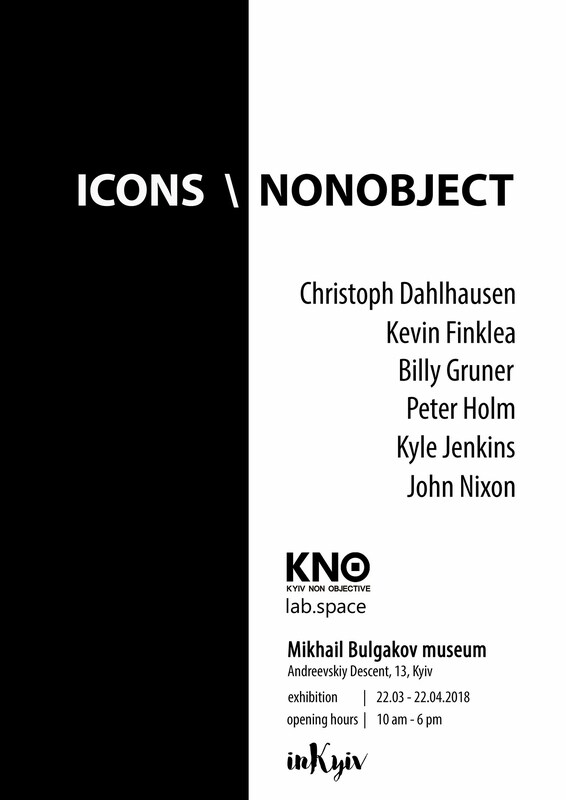 Thank you to KNO Lab, thank you to the artists and thank you to Billy Gruner for his extensive essay “NONOBJECT – New Work New Language New Modern”. Peter Holm, Græsted, March 2018. The “NONOBJECT – New Work New Language New Modern” essay is available for reading in PDF. Opening March 22th, 7-9 pm, 2018. On view through April 20th, 2018. Kyle Jenkins, John Nixon, Christoph Dahlhausen and Billy Gruner.